Having had a youth of chronic fatigue, M.E and poor digestion, Primrose Matheson set out on a mission to understand her body and what was needed to maintain it in perfect health. 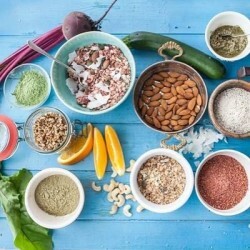 She felt real healthy food shouldn’t sacrifice on flavour and set out to bring a range of gluten free, vegan products to the market to help people enjoy eating healthily. 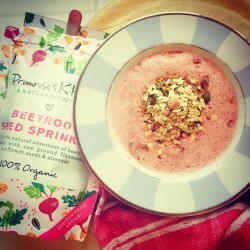 With her background in Naturopathic and Complementary health she started Primrose’s Kitchen. 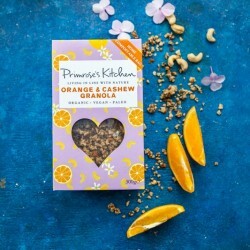 By incorporating beneficial and thoughtful ingredients, Primrose's Kitchen has developed new products in order to make healthy eating a little easier and encourage empowerment through food and listening to your body. 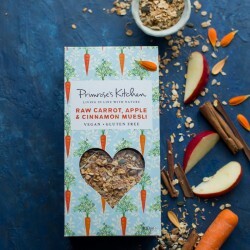 Primrose's Kitchen has won two gold stars in the 2013 Great Taste Awards!